Hygienic tubes are used in environments where cleanliness and cross-contamination prevention are paramount. Our products have been used for food and drink processing, dairies, breweries and within the pharmaceutical industries. The UKF Group holds a selection of products from ¾” (19.05mm) to 4” (101.60mm) outer diameters in both Grade 304 (1.4301) and Grade 316 (1.4401). 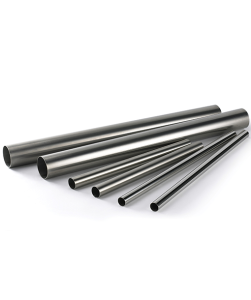 Tubes are usually supplied in the annealed and bead rolled condition removing the chances of contamination and in either unpolished or dull polished finishes. Use our Enquiry form for more information on availabilities.